Start summer off with a bang as we fly into the action-packed world of superheroes, spies, and all sorts of adventuring characters! We’ll create our own super symbols, solve mysteries, search for treasure, and take field trips to Legoland and Dunwoody Nature Center. 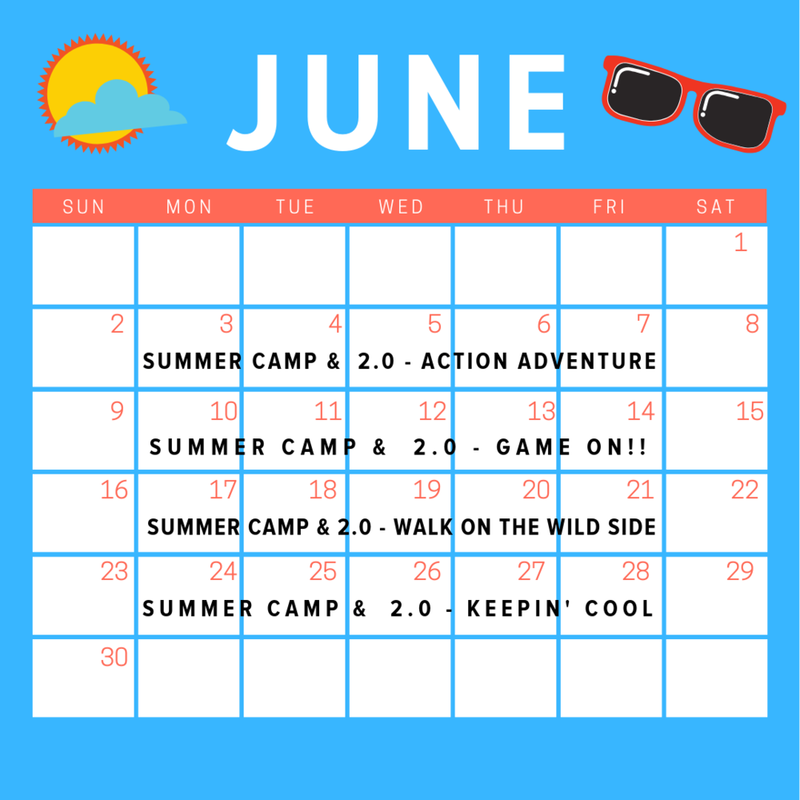 Day Camp 2.0 will step up the adventure solving murder mysteries on campus and going on a scavenger hunt in Atlanta’s own Piedmont Park. + JUNE 10-14: GAME ON! Day Camp 2.0 will go next level with mega sized yard games, human foosball, and a field trip to play laser tag and go bowling at Stars and Strikes. Day Camp 2.0 will test the heights of their wild side at Treetop Quest in Dunwoody. Take a break from the summer heat as we experiment with water and ice, create some artic art, and enjoy field trips to Riverside Splash ‘n Play park and the Center for Puppetry Arts. Our annual VBS is an opportunity for children to grow in their faith and deepen their understanding of God and the Bible through singing, dancing, playing, and creating, all in the awesome community of friends and caring, enthusiastic adult volunteers at SSUMC. This year's program, To Mars and Beyond, will run from July 15-18, 8:30am-12pm. Grades 5-8 Basketball training plus 3 v 3 tournament. During breaks players will enjoy flag football outside on the fields. Bring indoor and outdoor shoes. 9am-4pm. Lunch provided for a fee of $7/player. Campers will enjoy this 1/2 day camp from 12p-4p playing soccer, flag football and many other outdoor sports on our new fields. Lunch provided for an additional fee of $5 per player per day. Players will enjoy a full day of sports from 9am-4pm Grades PK-5: Players will be divided into groups to enjoy fun games and skill work. 1/2 day option is available for $135. Tye-dye shirts, roast marshmallows, get messy, and enjoy all the last bits of summer before school begins. We’ll end the week with an inflatable water slide and water play day! Day Camp 2.0 will learn to cook lunch over a camp fire and take a trip to a local splash park. Campers ages 5-9 will have a blast in the SSUMC Day Camp and campers ages 10-12 will love the new SSUMC Day Camp 2.0! Both camps are open for drop off from 7:30-9am and for pick up from 4-6pm. Campers will enjoy a range of activities with each week’s theme including games, art, science, cooking, and field trips. The cost is $200/week. Email Candace Johnson at cjohnson@ssumc.org for more information!